I write my blog posts sometimes in English as I have many English speaking followers on Twitter and blog readers from 122 countries 🙂 This post is the first post in English. YOUR WEBPAGE OR BLOG AUDIENCE GROWS USUALLY SLOWLY, NOT OVERNIGHT. There are though a few strategies and tips, which can help to build an engaged, strong and dedicated audience – more quickly. 1. Displaying eye-catching, popular posts and related content can increase the time spent on your website or blog. Thumbnails with links encourages clicking, so this is something to consider using. As social media channels are mostly, and for most of us, a conversation / communication / customer service channel, focus on using social media to direct traffic to your website and blog. be open and available, add personal messages, make insightful comments, re-tweet, recommend and share links. It is important to keep the existing readers and followers, but also very important to gain new readers and followers. 2. Use strong and high-value content. When you provide value to your audience, they stick with you and they share your thoughts / content via Twitter, FB, Pinterest, YouTube and blogs, instead of just being fans who click ”like” but that’s it. What you want is an engaged audience, not just a huge amount of non-active fans. You are mostly interested in those who will most probably convert into customers or brand evangelists. One way to offer value to readers is to share informative and piquant content. You want to focus strongly on the headline as it is the most important part in intriguing your audience to stay tuned for more than three seconds. 80% read the headline, 20% read the whole post, they say. Most people scan rather than read. In the post itself, use sub-headers, bullets, numbers etc. These seem to attract readers to continue a few more minutes on your page. 3. Guest blogging is a great way to gain more exposure. Choose a blog which is highly relevant to your work and industry. Work together with other bloggers in your industry. This will benefit all of you as well as your readers, who are offered many blogs and bloggers via one channel. Very customer friendly, don’t you think? There are many ways to build strong relationships. 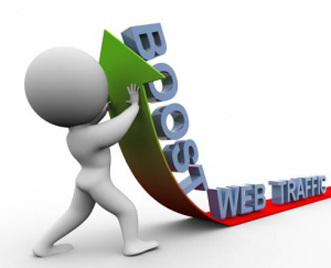 The tips above are examples, which will hopefully help you to reach your audience targets. You are most welcome! The article was great.